GrantWatch offers the Archives as a Free Trial for all Registered Users, with no credit card required for signup. Before you pay, become familiar with how we post the grants, with full grant information. General - Welcome to GrantWatch.com. The service is provided by GrantWatch, Inc. to Registered and Subscription Users only. As part of our service, we agree to provide you with information subject to the terms of this Terms of Service Agreement. Upon notice published through the service, we may amend or modify these Terms of Service at any time. You agree to use the service in accordance with the Terms of Service. This site is maintained and operated by GrantWatch, Inc. and contains material that is gleaned from public domain sites and often times provided by the funding source. The format in which the material is prepared is copyrighted. You may not modify, copy, reproduce, republish, upload, post, transmit or distribute in any way, any material from this site including code and software. You may download material from this site for your organization’s private, non-commercial use only, provided you keep intact all copyright and other proprietary notices. Auto Renew Subscription - As part of GrantWatch.com's commitment to our subscribers, we have an Automatic Renewal subscription program as a quick, convenient way for subscribers to pay their subscription bill without interruption of new grant information. You may opt out of the Auto Renew payment service at any time in your My Account page. What is the GrantWatch refund policy? Review Archives Before Purchase: GrantWatch.com offers the review of our Archives for all Registered Users (funding sources and/ or grant seekers who sign up as non-paid Members - grant info emails only) with no credit card required. This gives you a no-risk way to review archived grants to become familiar with how we post the current grants in full detail. If you decide to upgrade at any time to MemberPlus+ go to Pricing & Plans to purchase a new current grants subscription. Paid Account: When you purchase a Paid Account, your account becomes a MemberPlus account. GrantWatch, Inc. charges your credit card for the initial billing period. After that, the billing system automatically renews your account according to the plan you chose – weekly, monthly, 3 months, six months or annually and charges the appropriate amount to your credit card. Cancellation: You may cancel your account at any time in My Account (under your name when you are logged in - top right corner), and no further amounts will be charged to your credit card. However, you are responsible for any amounts already charged to your credit card or PayPal account. Refund Policy: Please note that we sell intangible knowledge and information. We do not bear any responsibility and therefore we do not satisfy any refund/return/exchange requests based on an individual or a company finding or not finding a grant for a particular need. 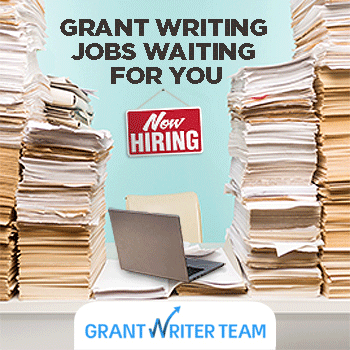 Our grant research department works diligently to locate and post new funding opportunities. We have no control as to which grant will be available. Refunds: GrantWatch.com is a pay-as-you-go service. Therefore, we do not issue refunds, even if you cancel immediately after your credit card is charged for the new billing period. If you decide to cancel during any term of 3 month or one year or more, that you have paid for – we will refund based on a $45 per month for any month or partial months. No future charges will then be applied to your credit card. We treat all customers equally, so we do not make exceptions to this policy. By agreeing to the Auto Renew Terms and Conditions, you authorize GrantWatch.com to charge your debit/credit card at the expiration of the term of your subscription for the exact amount, until such time that you cancel your subscription. Limitation of Liability: Under no circumstances, including but not limited to, negligence, shall GrantWatch, Inc. or its agencies, instrumentalities, or their directors, officers, or employees, be liable for any direct, indirect, incidental, special or consequential damages that result from the use of, or the inability to use, the GrantWatch.com service or any reliance thereupon. The information contained therein is subject to typographical error. Information contained in this publication is intended only as notification of available funding opportunities. Privacy: GrantWatch, Inc. reserves the right to send electronic mail to any and all Registered Users, for the purpose of informing them of changes or additions to GrantWatch.com. Your information will not be provided to third party vendors. Software Licenses: Registered Users shall have no rights to, and no license is hereby granted to Registered Users by GrantWatch, Inc. for the proprietary software and related documentation, if any, or any enhancements or modifications thereto, if any, provided to Registered Users to access the GrantWatch.com site. Registered Users may not copy, distribute, modify, reverse engineer, or create derivative works from GrantWatch.com software. Registration and Security: As part of the registration process, Registered Users will use their email address as their username and will select a password. Registered Users shall provide GrantWatch.com with accurate, complete, and updated registration information. Failure to do so shall constitute a breach of this Agreement, which may result in immediate termination of the User's account. Registered Users shall notify GrantWatch.com of any known or suspected unauthorized use(s) of Registered User's account, or any known or suspected breach of security, including loss, theft, or unauthorized disclosure of Registered User's password or credit card information. Registered User shall be responsible for maintaining the confidentiality of their account password. Registered Users will never be required to reveal their password to any representative or agent of GrantWatch.com, its owners or agents. Each Registered User is responsible for all usage or activity on their GrantWatch.com account, including use of the account by any third party authorized by the Registered User to use their GrantWatch.com user name and password. Any fraudulent, abusive, or otherwise illegal activity may be grounds for termination of the account, at GrantWatch, Inc.’s sole discretion, and the Registered User may be referred to appropriate law enforcement agencies. For your security, we have purchased the strongest encryption available using SHA-256 and a minimum of 2048 bit RSA keys. The IPv6 enabled global infrastructure ensures that GrantWatch receives the fastest secure site load speed in the industry. The SSL provides ongoing security services with a phishing alert service that notifies if a phishing attack is detected on your site. Acceptable Use: The GrantWatch.com site is to be accessed in an interactive manner by an actual human using a web browser. It is not to be accessed in an automated or pre-programmed manner by any hardware or software device, program, routine or script that accesses the material in a bulk manner bypassing the interactive controls built into the site. Registered Users may not place a disproportionately large load on the GrantWatch.com hardware, software or other infrastructure. Termination: GrantWatch, Inc. or GrantWatch.com, in its sole discretion, can terminate or suspend Registered User's access to all or part of the GrantWatch.com service for reasons, including, without limitation, breach of the account agreement. Acceptance: Registered User, by his/her access to and/or use of GrantWatch.com hereby acknowledges his/her acceptance to the above stated Terms of Service and agrees to be bound hereby. Disclaimers: GrantWatch.com does not guarantee the completeness, accuracy, relevance or timeliness of the information contained on this website. It is the viewer’s responsibility to contact the funding source, view the URL, and review the RFP's (timelines and information pertaining to the funding opportunity). Throughout GrantWatch.com, you will find links to information on other websites. We provide these links solely to help users find additional information that may be useful. Once you leave the GrantWatch.com website, you will be subject to the privacy and security policies of the owners/sponsors of the outside website. Contact us at the website with your GrantWatch.com questions, comments, and suggestions. Copyright © 2016 GrantWatch, Inc.